​Rafael Benitez will hope that his side can bounce back from their ​defeat to Crystal Palace in their last game as the look to secure their Premier League status for another season. The Magpie's were undone by an 81st minute penalty and also saw defender Florian Lejeune taken off with what looked like a serious injury. They face a Leicester side who are in a rich vein of form and will need to be defensively alert to come away with a good result. 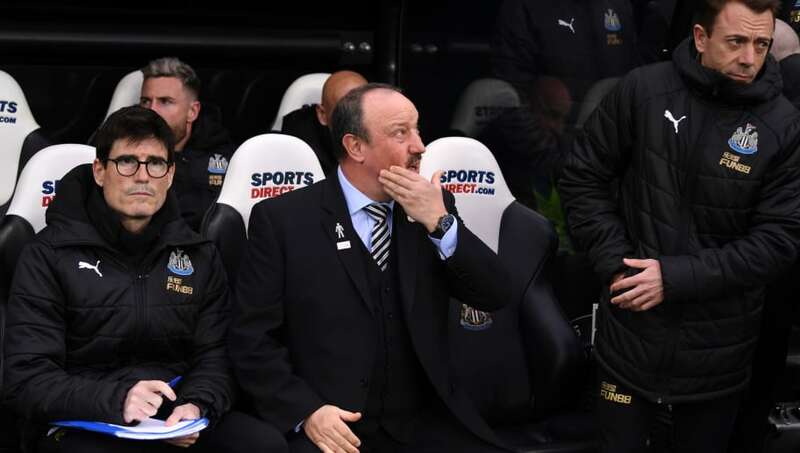 Here's a look at how Benitez could line up his side for ​Newcastle's clash against Leicester. Martin Dúbravka (GK)​ - The 30-year-old Slovakian has put in some good performances for ​Newcastle since he was made a permanent fixture last summer. He will need to be at his best to keep out a free flowing ​Leicester side on Friday. DeAndre Yedlin (RWB) - The American will have a busy game on Friday as he comes up against Harvey Barnes. Yedlin has the pace to keep up with Barnes and could also cause the youngster some problems when he has the ball himself. Fabian Schar (CB) - The 27-year-old Swiss centre-back has emerged as an important player for Newcastle. Defensively, he has been one of their best players but also causes problems when attacking set pieces. Jamaal Lascelles (CB) - 25-year-old captain Lascelles leads by example, and will need to keep his troops organised to come away from the King Power Stadium with a positive result. Like Schar, he is a threat from dead ball situations and will hope to get on the score sheet for his club. Paul Dummett (CB) - With Florian Lejeune out injured, Dummett will be called upon in the Frenchman's absence. The Englishman has 152 appearances for his boyhood club and should add another on Friday. Matt Ritchie (LWB) - Normally played in a more attacking position, Ritchie has recently been played as a left wing-back with some success. His crossing ability is a potent attacking weapon, and with a target like Salomon Rondon to aim for, he'd be daft not to utilise it. Ayoze Perez (RM)​ - Since his return from injury, Perez has been in good form for the Magpies. He has built a good relationship with Miguel Almiron and Rondon, and will be looking to add to his goal tally against Leicester. Isaac Hayden (CM) - The 24-year-old has put in some good performances in the black and white shirt this season. He had built a good relationship with the injured Sean Longstaff in the middle of Newcastle's midfield, whilst also chipping in with some important goals. Ki Sung-yueng (CM) - The South Korean has recently found himself starting ahead of Jonjo Shelvey in the Newcastle midfield. His passing ability is a key attribute that boss Benitez will want to utilise against Leicester, especially away from home. Miguel Almirón (LM) - The Paraguayan has put in some impressive performances since his record move in January. He is yet to find the net in eight appearances for the Magpies and will want to change that on Friday. Salomon Rondon​ (ST) - The imposing Venezuelan has become a focal point of Newcastle's attacks. He has nine goals in 27 appearances so far this season, and would love to hit double figures before the end of the campaign.